The first trailer for Arrested Development Season 5 is here. Netflix has finally decided to give us a look at the upcoming season of the beloved series, which has also provided us with a fast-approaching release date. The Bluths will be back on May 29 and, as opposed to what happened with season 4, we're going to see the family sharing the screen much more this time around. Netflix was clearly aware that the divided narrative from the last season didn't land with fans, as evidenced by the tagline for this new batch of episodes. "This time the Bluths are all together. Whether they like it or not." This trailer does a few things. For one, it makes it very clear that the Bluths are going to be sharing the screen an awful lot. It also does a little bit of backtracking throughout the series and literally rewinding things a bit, which is a tad jarring while watching the trailer, but in any case, it very much feels like Arrested Development. 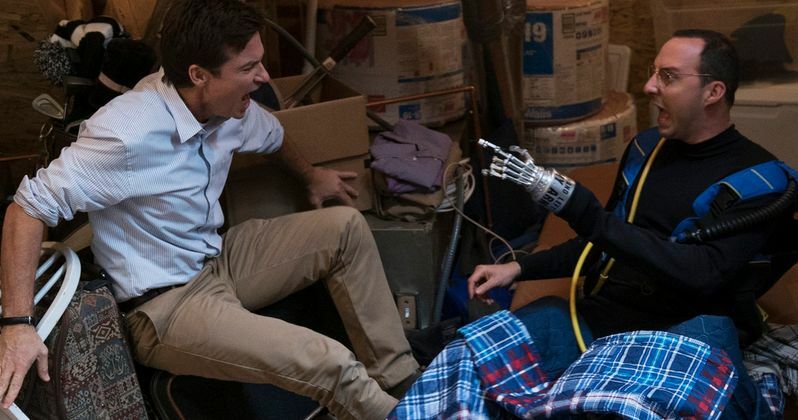 Netflix and creator Mitch Hurwitz recently released a remixed version of Arrested Development season 4, which told the story linearly, as opposed to character by character. The general consensus seems to be that this experiment didn't solve the season's larger problems, but it got people talking about the show again ahead of the new season. Arrested Development season 5 picks up in the aftermath of Cinco de Quatro with the Bluth family all facing one question, that no one quite has the answer to; where is Lucille Two? As this Netflix (semi) original series returns on May 29th, the Bluths are back together, and finally getting the award they think they deserve, for family of the year. A development which will help Lindsay as she begins her campaign for Congress, to become 'part of the problem'. But whatever happens, Michael will always come back to save the family. Probably. Netflix even has a website for the Bluth campaign for family of the year, which further reveals just how ridiculous, in a wonderful way, the whole thing really is. "As the anchor of the O.C. community, we're thrilled to bestow this award to a deserving family: ourselves! We are so qualified for Family of the Motherf**king Year, not day, not month, not quarter, that NO other families even wanted to compete. You may ask, 'Why campaign if you're running unopposed?' Well, why the hell wouldn't we? We're going to spread the Bluth name far and wide -- from the stern of the Queen Mary all the way to Irvine we will show you ALL why we WILL win** the Golden Anchor. No one's taking it away from us!!! We're the best. We're the Bluths!" Henry Winkler, who is absent from the trailer but will return for the new season, recently said that the series would be returning this summer, which turned out to be true. If you want a little more before Season 5 arrives on Netflix, you can see what VoteBluth.com has to offer. Be sure to check out the new trailer for yourself below.